The challenge wrapped up in Montego Bay, Jamaica, earlier this week, ending the two month business pitch competition. The eight finalists – all Branson Centre Official Entrepreneurs who have completed the Centre’s business skills training program – presented their elevator pitches to a panel of judges in front of an audience of fellow entrepreneurs and business leaders. The judging panel selected the winners based on three main criteria: 1) Will the use of funds enable transformative growth in their company? 2) Are they committed to social or environmental impact? 3) Did they deliver a compelling presentation? The competition was fierce, but at the end of the day, five entrepreneurs were able to convince the judges that their cases were the most compelling. 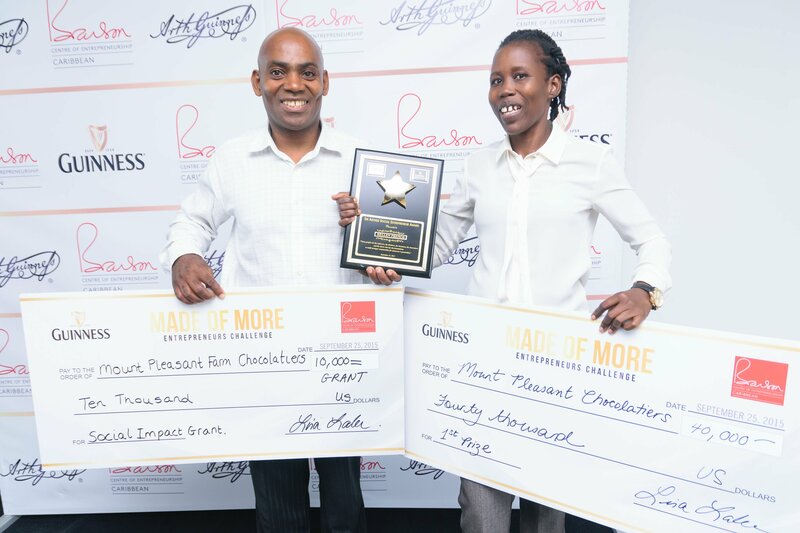 Our first place winners were Hellen and Averell French of Mount Pleasant Farm Chocolatiers with a loan amount of US$40,000. 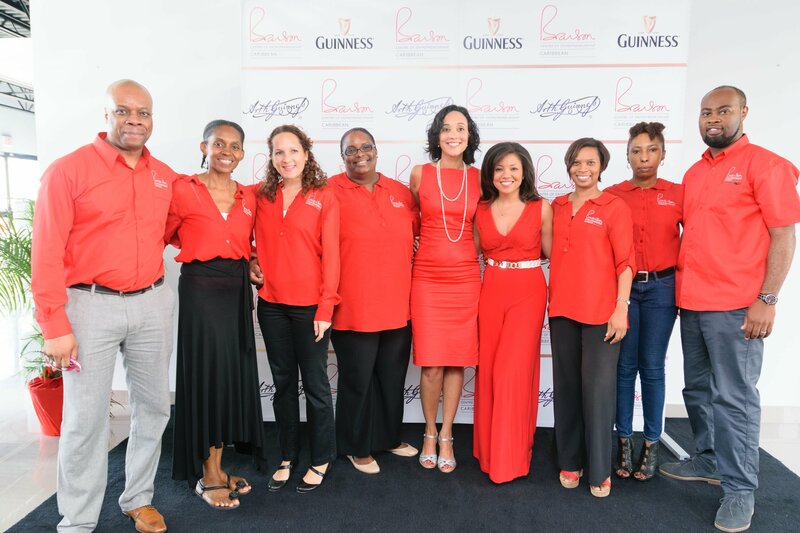 They also won the Sir Arthur Guinness Social Entrepreneur Award for the US$10,000 grant. 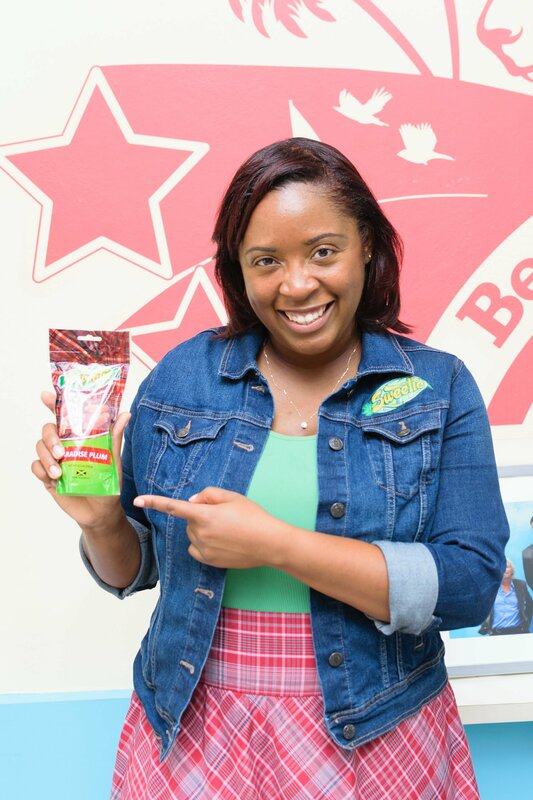 Second place went to Patria-Kaye Aarons of Sweetie Confectionery with a loan amount of US$25,000. Third place winner was Marie Wilson of DejaFrut with a loan amount of US$35,000. Fourth place loan of US$15,000 went to inventor and entrepreneur, Jovan Evans, of AquaFlow Products & Services. 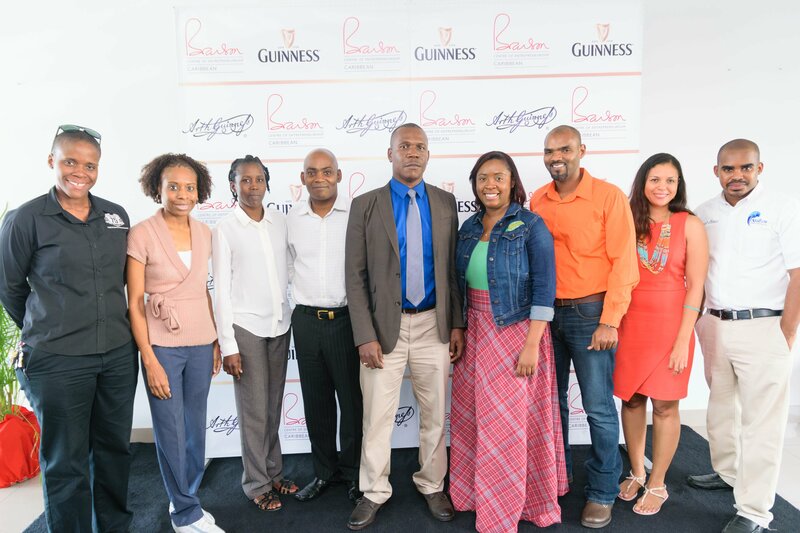 Mervin Kerr of Island Integrators came in at fifth place with a loan amount of US$15,000. The event was a roaring success, topped off with a virtual ‘drop in’ from our fearless leader and BCoEC’s founder, Richard Branson. Richard joined the event via Skype from New York and spoke of how critical it is for Jamaican entrepreneurs to address social and environmental challenges and to innovate and find new ways of doing things so that their businesses can be a ‘Force for Good’ in the world. He took three questions from the audience and finalists, where he gave key insights into facing challenges in doing business in emerging markets and creating a happy company culture. Huge congratulations to our winners and everyone involved in the challenge. All of us here at Virgin Unite are so inspired and excited to follow the next steps of your incredible business journeys.